London Summit 2017 Awards: Full Categories Revealed! The 2017 London Summit Awards will recognize the industry’s best - but how does one vote? With less than a month to go until the 2017 Finance Magnates London Summit, this year’s award categories have just been revealed. The event will take place on November 14-15 at Old Billingsgate in London, and the award ceremony will cap off the event. Wanna vote? Deserve winning? Either way you need to register first! Every year, Finance Magnates recognizes the industry’s best-performing companies across a range of twelve different categories. The awards reflect trends and shifts that the FX industry has undergone in the most recent year, and are decided based on votes from industry peers and attendees. How can I make sure I’m nominated in the right category? Finance Magnates compiles a broad list of industry participants. 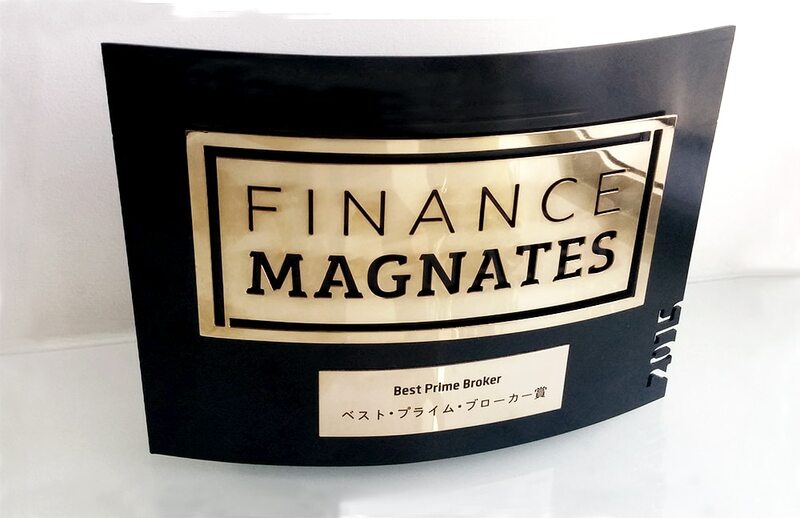 If you want to make sure that you are listed in the right category, the most efficient way is to contact events@financemagnates.com. Tough one. The awards are decided by industry peers, so your job is to convince them that you are indeed at the top of your game. We recommend canvassing for your nomination with dedicated infographics and social media posts, encouraging attendees to cast their ballots for you. Be sure to include the summit hashtag, #londonsummit17, in your publications and invite your audience to register and vote. Only London Summit registered attendees are eligible to participate in the selection process – no biased panel of experts here. The confirmation process might take a couple of days, make sure to register as soon as possible. 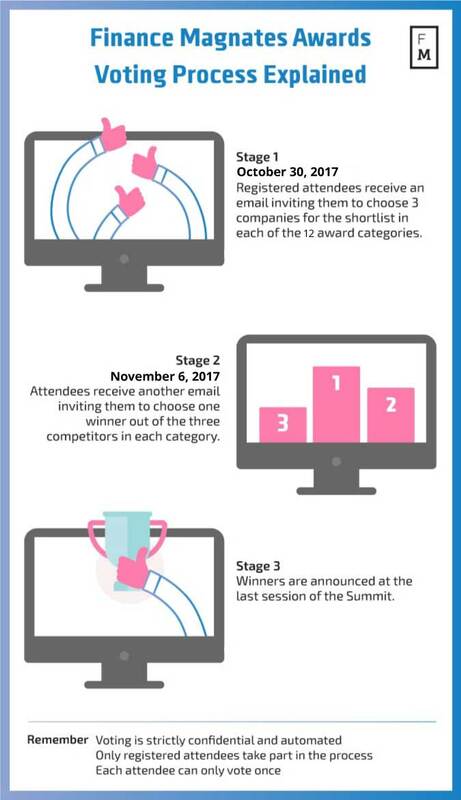 Attendees will ultimately dictate who makes it to the next step: after receiving your selections, we will then tally all the votes and pick out the three most popular contenders in each category for the shortlist. In the next phase, voters will be asked to choose one of the final candidates and the one who receives most votes will become the winner in its category. As the structure of liquidity in FX is changing, this year’s nominees will include top-tier banks as well as hedge funds and electronic non-bank liquidity providers, all of which are growing to be increasingly significant participants in the market. This category will focus on technology providers in the retail FX space – firms that offer access to liquidity, risk management, routing aggregation and bridge solutions for platforms. At this year’s summit, attendees will award not only the best brokers and their providers, but also the network that connects them to the market and facilitates the best infrastructure for FX trading. This segment has been a growing niche since the game-changing EUR/CHF debacle a couple of years ago, and the industry has seen PoP offerings coming from various players. From traditional specialist firms relying on their LP relationships to financial groups expanding into the B2B space, London Summit attendees will determine who was on top of the game in 2017. Historically, MT4 has been synonymous with the term trading platform, and accordingly, MetaQuotes has won several of our awards. However, with the growing emphasis on MT5 and the proliferation of webtrader versions, could this year see an end to this trend? The retail FX industry’s expansion into multi-asset offerings is well underway. This year’s award credits the platforms best equipped for enabling multi-asset trading in terms of instrument diversity and technological integration. One cannot overstate the growing importance of CFD trading across the online trading industry. Due to its wider adoption in the retail space, candidate assessment will focus on the diversity of instruments, trading volumes generated across different assets and effectiveness of marketing. 2017 has been the year of cryptocurrencies, and it is only fitting that a new award covers this realm. Consequently, the rapid ascension of cryptos has prompted retail brokers to provide digital currency trading to their client bases. 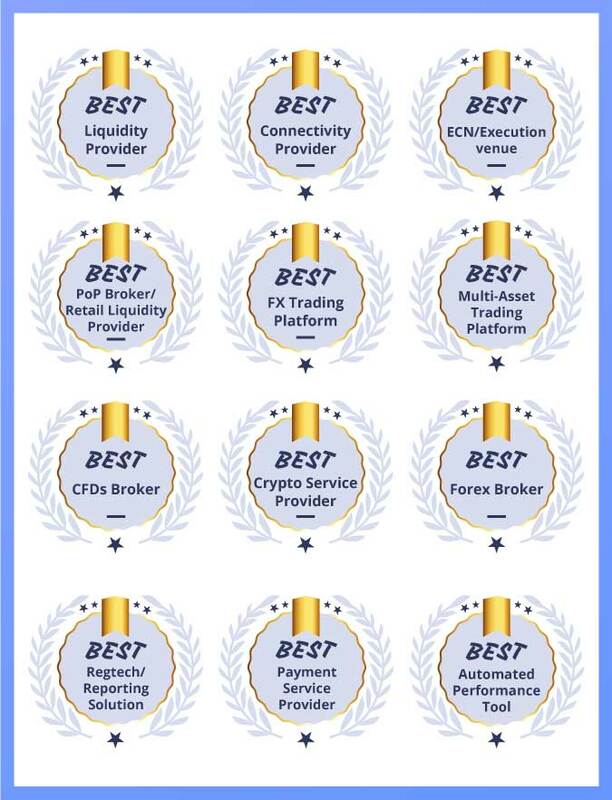 The London Summit Awards will recognize the most effective and innovative cryptocurrency service provider in the industry. A token of prestige, so to speak. This award is the real star prize every year, and 2017 is no exception. The award will recognize the best FX broker for its performance across the board. Will Saxo Bank finally be dethroned after winning for two consecutive years? Only you will decide. Changes to regulatory frameworks have made regtech a growing buzzword this year 2017. The award will be given to companies offering the most comprehensive regulatory solutions, primarily in documenting and reporting transactions in order to meet regulatory requirements. Payments remain one of the most central issues for the FX and broader financial services industry. As such, this award will be given to the best PSP solution in terms of costs, access to top-tier banks and acceptance of a broad range of means of payment. Finally, this award is for candidates that have introduced an outstanding automated tool for brokers to improve their performance at any stage of their customers’ lifecycle, from marketing and client acquisition to trader retention to better internal operations. Here is how last year’s award ceremony looked. Don’t miss your chance to be there this year!